The MOOS kids interview Cleveland Police Commander Brandon Kutz. He is the commander of the fourth district that encompasses the Southeast side of the City of Cleveland. He leads and manages the Cleveland police officers that are assigned to this district. The MOOS kids get in depth with Commander Kutz about his job, his likes and dislikes, and his background. 24: Interview with Artist Donald Black Jr.
Jason and Johnathan Streeter interview artist, Donald Black Jr. as he puts a mural up at Harvey Rice Library. They discuss his background and what the mural means to him. The mural gives him and the community power and he hopes that it will impact the youth in a positive way. Joshua lives in the Buckeye Neighborhood with his dad and sister. His neighborhood is loud and even at twelve he knows people are selling drugs on the corner. His dad and him have helped the neighborhood by cleaning up trash. Though he lives in a tough situation he knows he has good parents that are always there for him. His dad gives him an advantage through knowledge. Khalil loves watching the sunset and taking in the moments. He moved from the Eastside of Cleveland to escape gang violence. He has experienced shootings at a young age and knew that he had to stop hanging out with certain friends or he would have gotten killed or gone to jail. His favorite story to tell is the time he scored his first touchdown. He’s thinking about becoming a police officer, but doesn’t want the color of his skin affect how people see him. But right now he just hopes to get a girlfriend. Ari is seven years old and she would like to recycle the trash in her neighborhood and reuse the dirt. She wishes that everyone was rich and would live in mansions like the White House. She would like to be an artist when she grows up. Wise beyond her years, she even admits to learning from her mistakes, like the time she ate the wrong hot pocket. Twelve year old D’Vonte lives in the Kingsbury Neighborhood. He likes to ride his bike and explore the woods near his house, though he hates getting bit by the bugs. He likes this neighborhood because it is quiet and it is a better environment for him. He wants to be a veterinarian when he grows up and would like to get married, have kids and four dogs. He still worries sometimes that bad things will happen in his neighborhood, but prays about it. Johnathan lives with his mom, dad, two brothers and a dog. He recently moved from Cleveland to South Euclid and pretty much likes everything in his neighborhood except a poor deer that has been walking around with a dislocated leg. Recently he went back and visited his old house and remarked on how different it was. He can’t wait for the future and remember his name, Johnathan Streeter. Kaleob has been living in Shaker Heights for the past three years. He feels that moving to Shaker Heights has brought him lots of new opportunities. He recently travelled to Xenia, Ohio and compares the country town to Shaker Heights and how he prefers city living. He hopes to get a scholarship in cross country, wrestling or track. Mary is Puerto Rican and speaks Spanish as her first language. She lives in Brooklyn and has a park with lots of trees next to her house, so she sees lots of kids and dogs. She likes the quietness the neighborhood provides and thinks it calms her. D’Angelus gets personal in his neighborhood story. He talks about relationships, his first three-pointer, and what he wants to be when he grows up. Fourteen year old Jason just moved from Cleveland to South Euclid and discusses his new neighborhood. He gives it a 96! He also talks about his plans for the future. 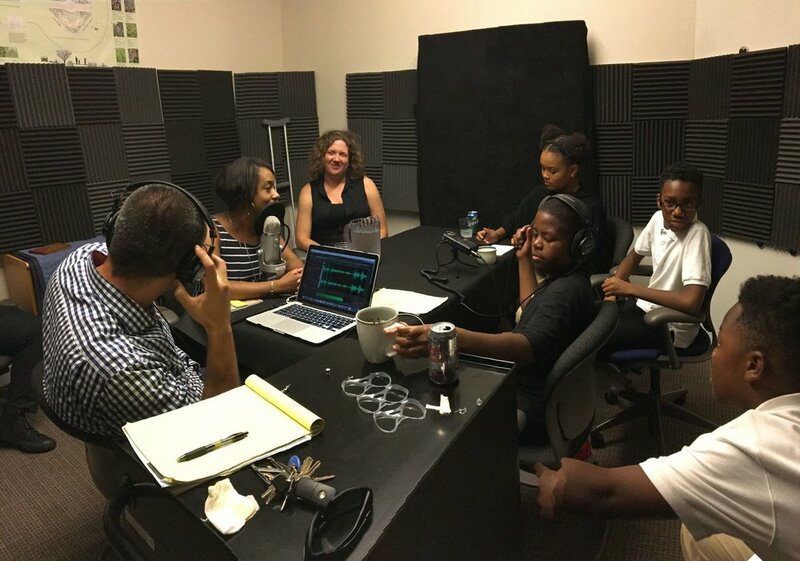 Making Our Own Stories is a youth podcast about placemaking. 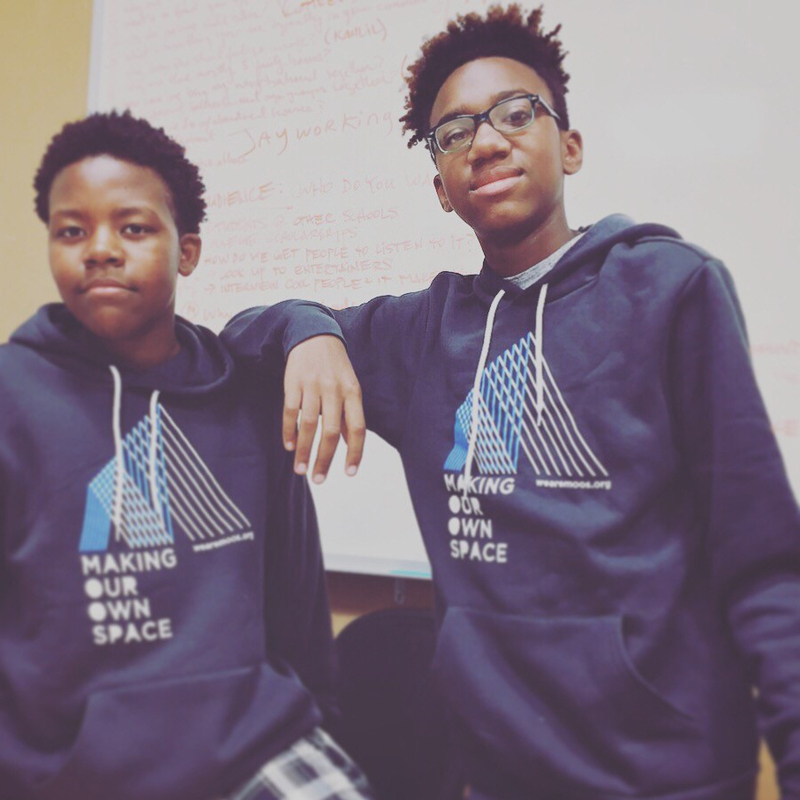 The podcast reveals the stories behind the projects built through the Making Our Own Space workshops. MOOStories puts the mic in the hands of youth, training them to craft and tell stories they find interesting—in their own voice. 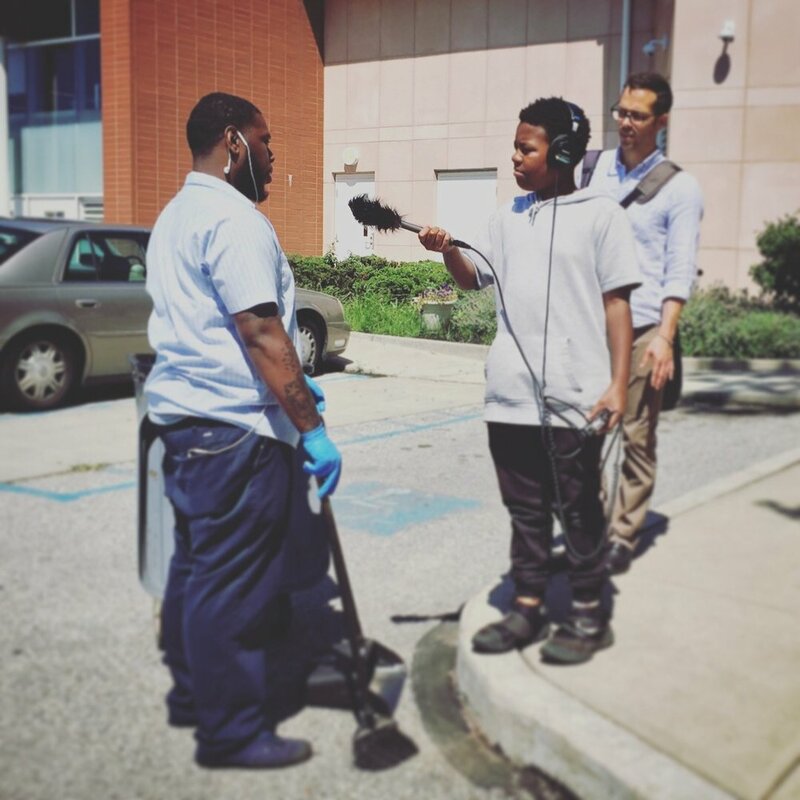 In each episode youth share their concerns and the stories of people living and working in the neighborhood, and they relate the oral histories of their community. Students interview teachers, neighbors, local leaders, city officials, and each other to better understand the messy and malleable process that shapes their neighborhood. MOOStories is led by a team of partners including Katie Slusher of Kent State University's Cleveland Urban Design Collaborative (CUDC): community leader and independent radio broadcaster D'Angelo Knuckles, David Jurca, founder of Seventh Hill, and Sidewalk founder and urban planner Justin Glanville. Making Our Own Stories is made possible through the generous support of the Cleveland Foundation's Minority Arts & Education Fund. Scroll down to listen to episodes on our website or click the button below to subscribe to the podcast on iTunes. 14: Why Are the Trains in Cleveland Slower Than the Trains in Japan? D'Angelus admires the speed of the efficiency of the trains in Japan, and wonders why Cleveland doesn't have trains as fast. He finds out that people's preferences in travel come down to some pretty varied factors—and that speed is relative. 13: What are Pros and Cons of Bike Patrol? For some people, riding a bike means freedom and fun. But what if you were also worried about being followed and fined? Cottrell explores the benefits and drawbacks of local laws requiring bike helmets and licenses. He interviews people in Cleveland and Shaker Heights to learn more about their perceptions of safety, then reflects on where he feels most at home. 12: Why Is There So Much Litter in the Neighborhood? On this episode, Johnathan notices that the neighborhood around his school has a lot of litter. As he walks the streets and talks to passers-by and experts, he discovers that the reasons people litter are not as simple as he thought. 11: How Can People Riding Bikes Cross the Street More Safely? Khalil had a personal experience that drove him to think about street safety. He shares his story with friends and other young people to hear their reactions. Khalil observes that the design of an environment and human choices are closely tied, but both have the potential to change. Enjoyed the music in this episode? Credit goes to the artist Willbe for tracks "Introduced Beats," "Way Back," "Brooklyn Bridge," and "Cathedral." 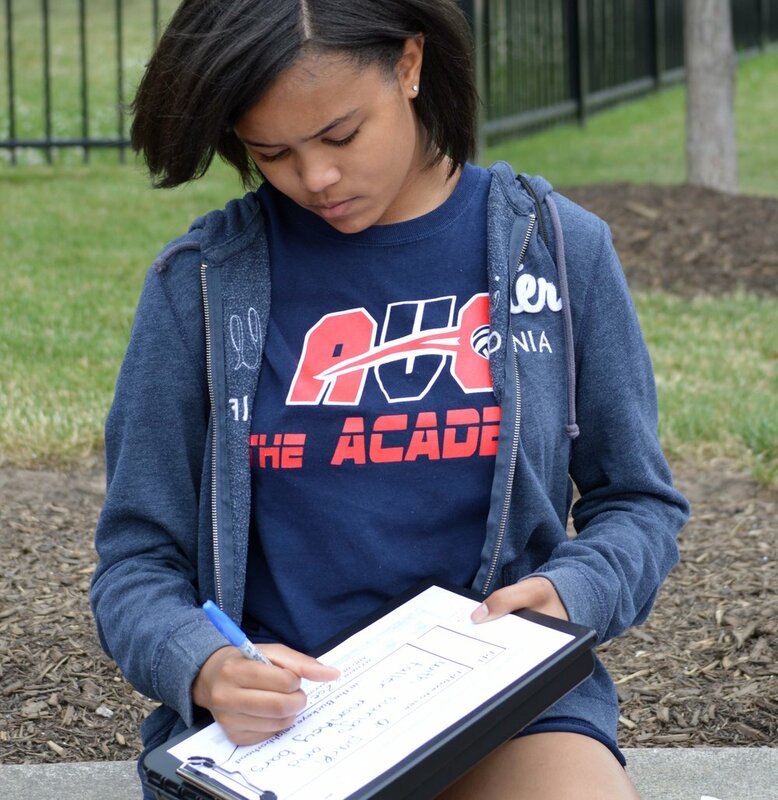 On episode 10, Zoe, 13, a core MOOS team member, lives off bustling Larchmere Avenue in the Buckeye-Shaker neighborhood. She reflects here on outsiders' perceptions of her neighborhood and what she sees in her own future. 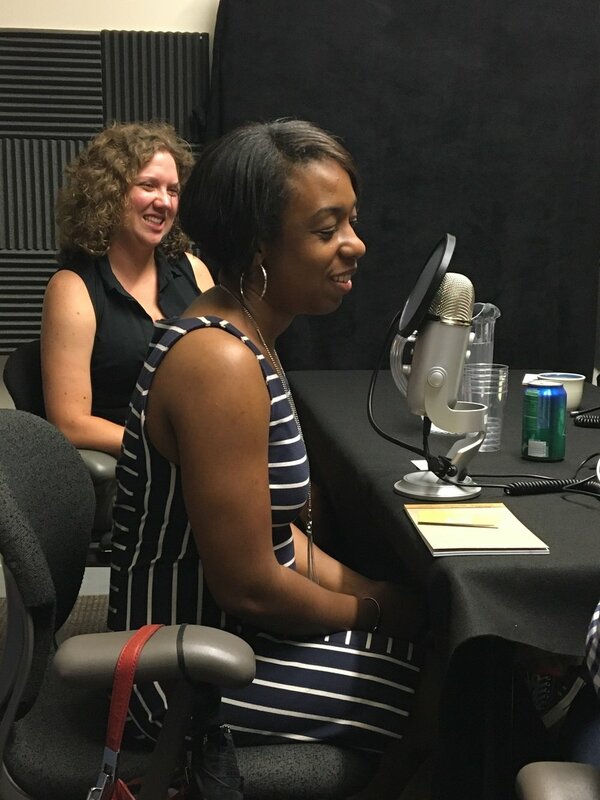 In Episode 9, the MOOStories team interviews Marka Fields, Chief Planner for the City of Cleveland. 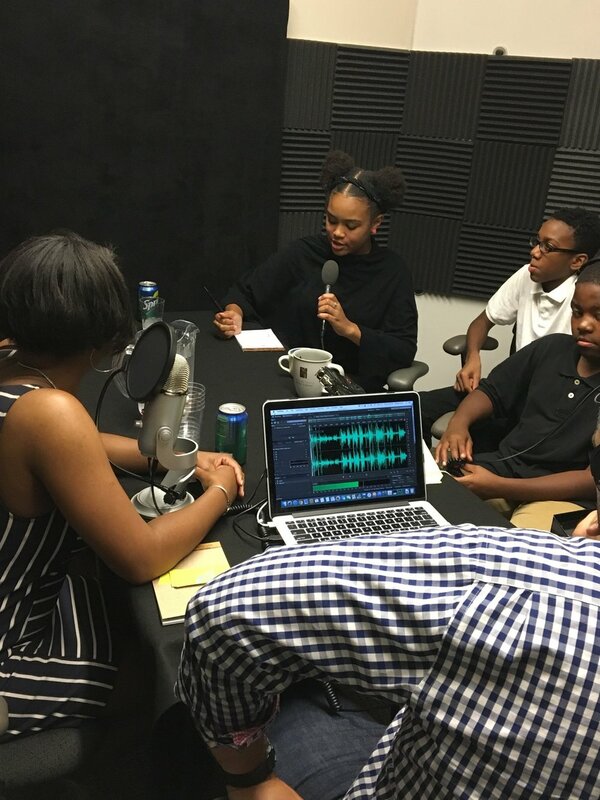 Our young placemakers speak with Marka about her role at the City, why she decided to become an urban planner, and ask her if the neighborhood can get a SkyZone. In this episode, Jonathan and Zoe interview urban farmers at the Buckeye Learning Farm, an urban farm a block away from the MOOS work site. The Farm is part of the Cleveland Botanical Garden's Green Corps program, which uses urban agriculture to help local youth develop life skills and interact with people from a variety of backgrounds. At the same time they're learning to make their own stories, the kids are also making their own spaces. 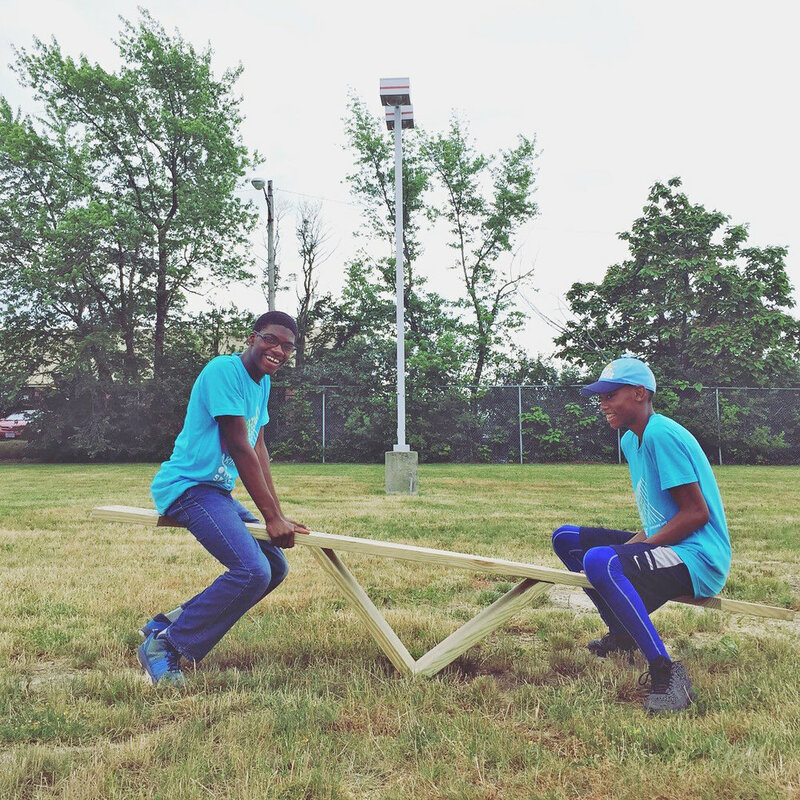 In this episode, they use saws and power tools to build benches and outdoor furniture for a new public space in the Buckeye neighborhood. Plus, the kids visit an urban farm -- and Zoe gets bolder about asking questions.